Attention Carrollians! 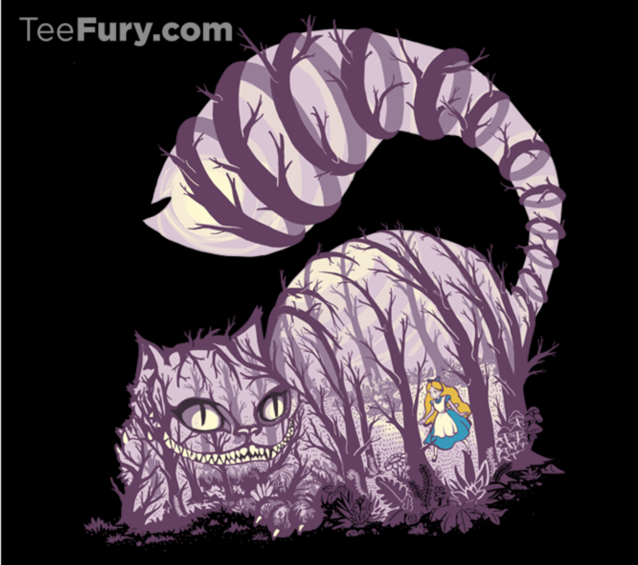 Today’s TeeFury T-Shirt features the Cheshire Cat and Disney’s Alice. This shirt is available today (Wednesday, July 9th) only! If the design is popular enough (which seems likely), then at some point TeeFury will bring it back in their Gallery. But then it will cost $18. Today only, it’s only $11 plus shipping.